An international study led by the University of Southampton and the National Vector-borne Diseases Control Programme (NVDCP) in Namibia has used mobile phone data to help combat malaria more effectively. The study used anonymised mobile records to measure population movements within Namibia in Africa over the period of a year (2010-11). By combining this data with information about diagnosed cases of malaria, topography and climate, the researchers have been able to identify geographical ‘hotspots’ of the disease and design targeted plans for its elimination. Geographer at the University of Southampton Dr Andy Tatem says: “Understanding the movement of people is crucial in eliminating malaria. 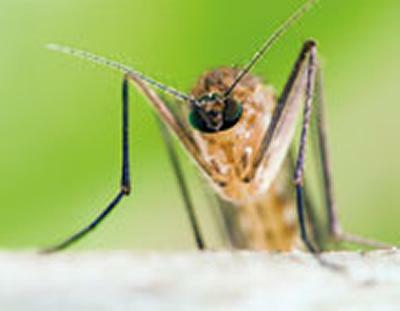 Attempts to clear the disease from an area can be ruined by highly mobile populations quickly reintroducing the parasite which causes malaria. “If we are to eliminate this disease, we need to deploy the right measures in the right place, but figures on human movement patterns in endemic regions are hard to come by and often restricted to local travel surveys and census-based migration data. Twelve months of anonymised Call Data Records (CDRs) were provided by service provider Mobile Telecommunications Limited (MTC) to the researchers (see note 1 for a full list of partners) – representing nine billion communications from 1.19 million unique subscribers, around 52 per cent of the population of Namibia. Aggregated movements of mobile users between urban areas and urban and rural areas were analysed in conjunction with data based on rapid diagnostic testing (RDT) of malaria and information on the climate, environment and topography of the country. The results of the study help the NVDCP in Namibia improve their targeting of malaria interventions to communities most at risk. Specifically they have helped with the targeting of insecticide-treated bed net distributions in the Omusati, Kavango and Zambezi regions in 2013, and will continue to help the NVDCP prepare for a large-scale net distribution in 2014 and deployment of community health workers. Dr Tatem comments: “The importation of malaria from outside a country will always be a crucial focus of disease control programmes, but movement of the disease within countries is also of huge significance. Understanding the human element of this movement should be a critical component when designing elimination strategies – to help target resources most efficiently.